Ukrainian soprano Arina Domski visited Lebanon for the first time with her «Opera Show» within Tyre International Festival. 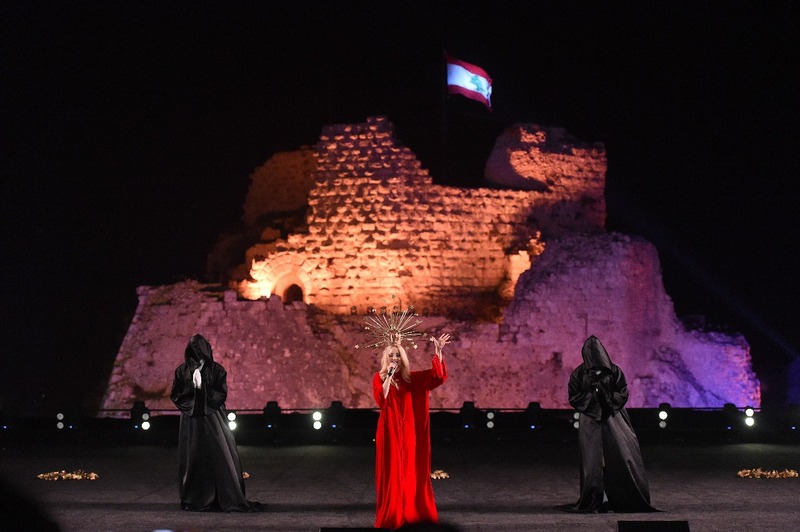 The Lebanese audience looked forward for the artist’s performance. The most devoted fans gathered in the airport to welcome the singer with the flowers despite late arrival while the whole way from Beirut to the show venue was paved with the banners with the Ukrainian singer’s images. Domski’s concert was conducted under the sky at the bottom of Beaufort Castle where the stage and 2000 places auditorium were specially built. The castle is situated in Nabatieh Governorate in Southern Lebanon which is 100 km away from Beirut. Beaufort got its name from “bel fort” or “beau fort” which means «beautiful fortress» in French as the Crusaders occupied the castle in the 12th century. The artist’s smile and charm won the local audience from the very first minutes. The concert began with Carl Orff’s “Carmina Burana” cantata. Arina appeared in a red cloak with a crown on her head. Strong vocal and original stage images impressed the viewers enormously. During the show the artist changed seven outfits. When the last song “Peace” which was written by the Singer herself, was sung, the audience burst with applauses screaming “Arina”! 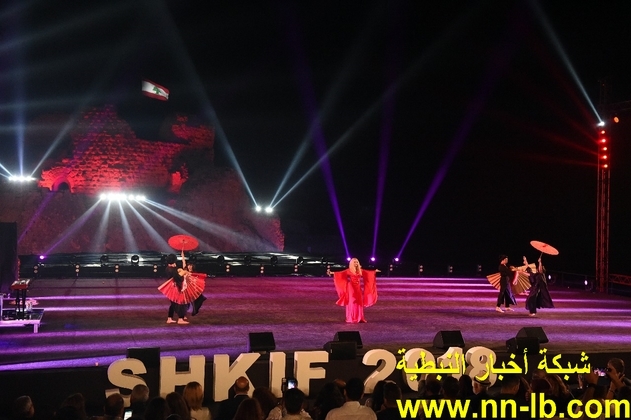 90 minutes concert by the Ukrainian singer was accompanied by special effects, light and laser show which had a howling success with the Lebanese viewers. The Festival has been conducted since 1996 and for the first time in its history a Ukrainian artist performed at such a significant event. After the show the Lebanese Elissar News called Arina Scheherazade and her show “One Thousand and One Night”, paying tribute to the singe’s strong vocal, extraordinary interpretation of classical music and one-of-a-kind show. Arina’s concert was attended by Mrs. Randa Assi Berri – the wife of the President of the Parliament of Lebanon. Mrs. Assi Berri thanked Ms. Domski for the performance and invited her for a dinner. Next day the singer went sightseeing Beirut as the hosts made a special hospitality program for Arina and her team, having shown the most prominent historical places of the city as well as served the national Lebanese cuisine. Traditionally, the singer shared her backstage life in her vlog. In January 2018 “Opera Show” by Arina Domski won DIAFA Awards in Dubai. 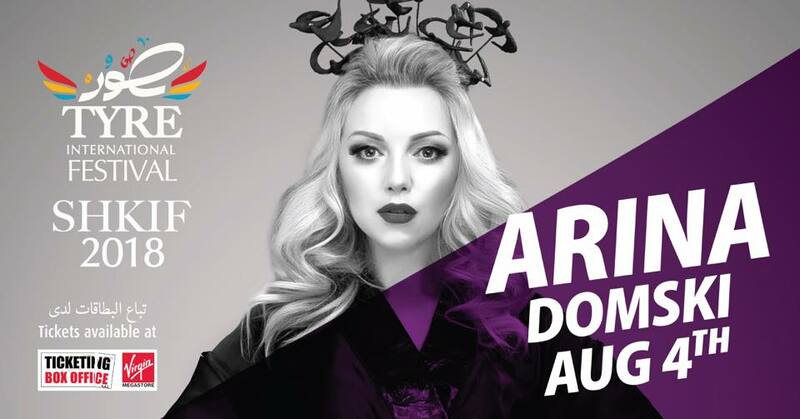 Arina Domski is the only Ukrainian singer performing in classical crossover style. She is actively touring all over the world, having already presented her “Opera Show” in Germany, Spain, France, Luxembourg, China, Hong Kong, Dubai, Turkey, Kazakhstan, Russia and Lebanon.